Preparing your company for the highest industry certifications. When looking at your production or manufacturing facility, maintaining your industry standards are a necessity that ensure peace of mind of your consumers, and bolster the values of your business. When it's time for your company to pass its required inspection, Smith Restoration is confident in our ability to help your company achieve passing grades for any of these listed certifications. In preparation, our team will provide qualification protocols that Smith Restoration will help your company plan and execute. Smith Restoration has over 15 years in maintaining the quality and safety of production lines through our GMP instruction. GMP, or Good Manufacturing Practice, requires manufacturing facilities to follow strict standards in sanitation, processing, and safety regulation. These standards are designed to negate risks in any production line before testing of the final product, and are itemized for all points of production. GMP covers staff training, production materials, environmental and equipment inspections, and contamination, among many other factors. Consumers know that a GMP-certified company is guaranteed to produce safer products that don't skimp on value. Charles Smith has taught the practicing of GMP requirements, as well as prepared individual companies for their certification process. Complying with GMP standards results in independent verification that assures your facility is up to date with the basic manufacturing requirements, to ensure safety for both your employees and consumers. Matching a higher consumer demand for better food safety, Smith Restoration holds SQF, or Safe Quality Food, certification. Proper SQF adherence verifies that adequate food safety control processes are practiced and monitored by food production facilities. Food providers around the world follow SQF, as well as the relevant AIB standards, to maintain a regular level of safety for consumers, as well as to reduce costs and risks. The SQF combination of quality and security standards is necessary for the food safety industry when forming a higher level of food safety management. SQF also prides itself on creating these levels of safety through scientific principles and trusted values of food quality. To maintain quality assurance for research or production laboratories, Smith Restoration has been trained in GLP, or Good Laboratory Practice, for experimental or clinical environments. When operating in laboratory settings, following the same regular practices is crucial to ensure the integrity of materials used in the same consistent production. GLP standards can factor in to the quality of safety tests, toxicity tests, and other safety concerns that arise in laboratory environments. These safety requirements have been coordinated and endorsed by the U.S. Food and Drug Administration (FDA), Environmental Protection Agency (EPA), U.S. Department of Agriculture (USDA), and the Organization for Economic Co-operation and Development (OECD) international guidelines. 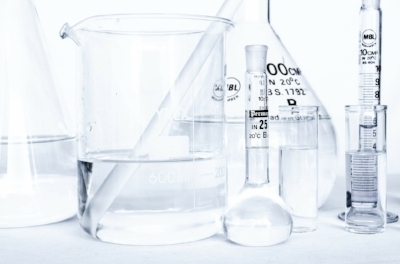 In addition to other lab safety standards, GLP is focused on the safety requirements needed for the materials used in the labs: chemicals, additives, formulaic ingredients, packaging, or other products used in such settings. All Smith Restoration & Waterproofing projects are planned and directed under the proper ISO standards. This knowledge of industry technological, management, and design standards lends an efficiency to our work, knowing it's done correctly the first time. Visit our ISO Lead Auditors page for more information on the certification process. Please fill out the form below for more details on specific certifications, or contact us with any other questions.